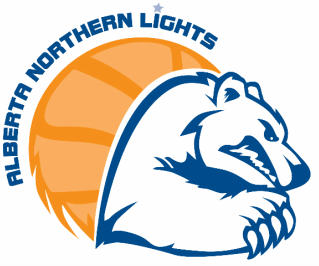 The Alberta Northern Lights Wheelchair Basketball Society (ANL) is a registered charity* that provides wheelchair basketball programming and HiLights school programs to Northern and Central Alberta. Founded in 1976, the Alberta Northern Lights have been world leaders in the development of wheelchair basketball and its athletes - both at the recreational and elite levels. The Alberta Northern Lights provide a truly integrated sporting community, offering programs for all athletes regardless of gender, age and skill level, and regardless of whether they experience disability or not. Our programs are developed to be inclusive of athletes with a wide range of physical disabilities, but also to be inclusive of their able-bodied siblings, parents, friends and community members. We offer recreational programs for athletes as young as 4 years old (Minis), and have had athletes playing well into their 60s. The Alberta Northern Lights focus both on our recreational community roots, and the development of elite athletes (those both with and without disabilities), and Paralympic Athletes (for those international calibre athletes with disabilities). We provide national calibre coaching, national exposure, leadership development opportunities, and ample training opportunities for those athletes who wish to take their game to the next level. We also believe in investing in the community that supports our athletes, by developing and training some of Canada's leading coaches and referees. If you would like to get involved as an athlete, coach, referee, volunteer or donor please contact us. As a growing organization, we always welcome new members, new ideas and new challenges to improve our programs and our sport.